So today after lounging on the couch for two hours and watching the lizard make its way from one end of the room to the other,I decided to do something fun.I picked up some pencil and paper and began to doodle. 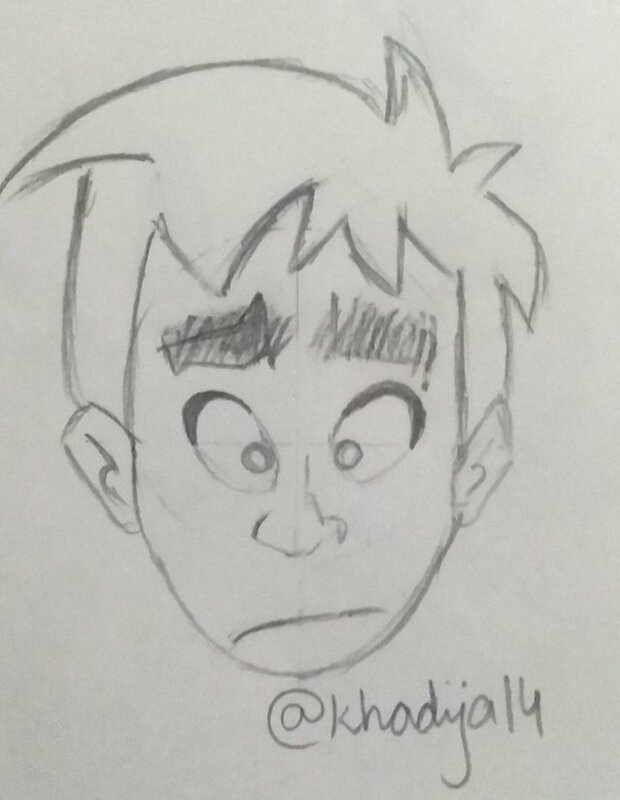 This one right here (third attempt😥)is a young boy.I made his eyes large to give him a more youthful and innocent appearance.The mouth area usually does not need too much detail as seen in cartoons so I went with a simple,tilted line to make him look upset.Varying the shape and position of the eyebrows and mouth can help change the facial expression. This one,as you can probably tell,is an old man. 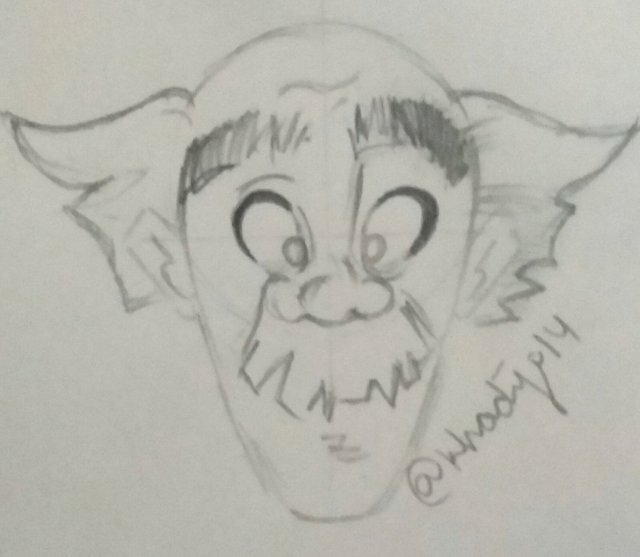 I used the same basic face structure for him as I did for our young boy but I made his jaw longer and the eyebrows thicker as that of the elderly.His nose,too,is slightly flattened and the ends of his nose touch his eyes.Adding a wrinke here and there helps emphasize his old age.I used a thick moustache instead of a mouth.The bald head and puffs of white hair really seal the deal for this old pal. I think drawing cartoons is an amazing way to both utilize your time efficiently and to learn how to draw.I am definitely into this and will continue clowning around with cartoons.If you guys want,I can do a step-by-step tutorial explaining the fundamentals. Let me know what you guys think in the comments below. Thank you so much @humaima.I was just having some fun with this.